The Lava Crust Kilauea vase. 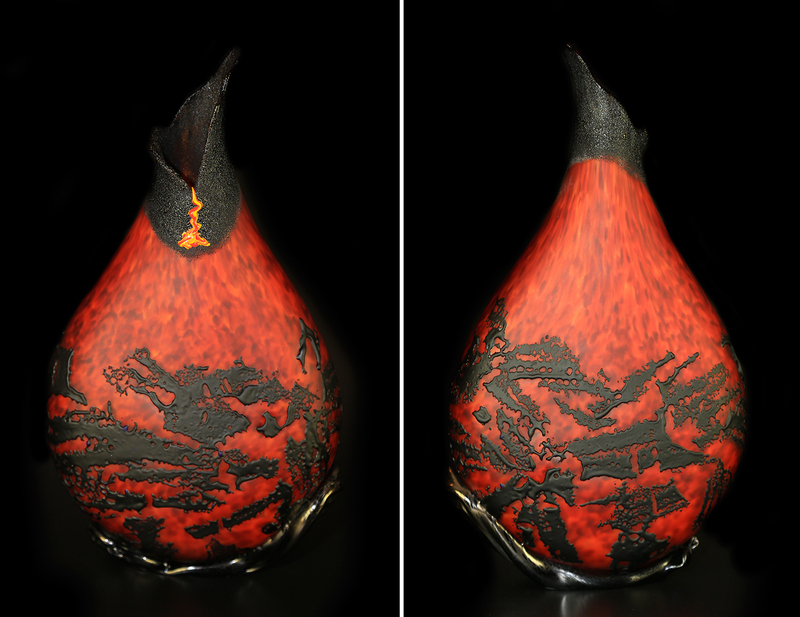 The Lava Crust Kilauea Vase renders the dramatic dry hardened skin that forms on the surface of a fresh lava outbreak. 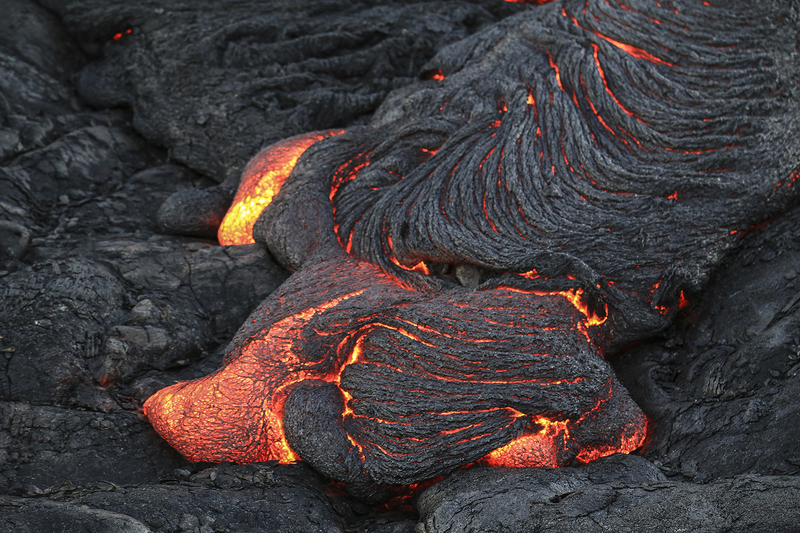 This black frozen skin often breaks apart and gets carried along with the hot liquid lava beneath, as the pressure to flow down hill pulls the fresh lava further down the mountain.